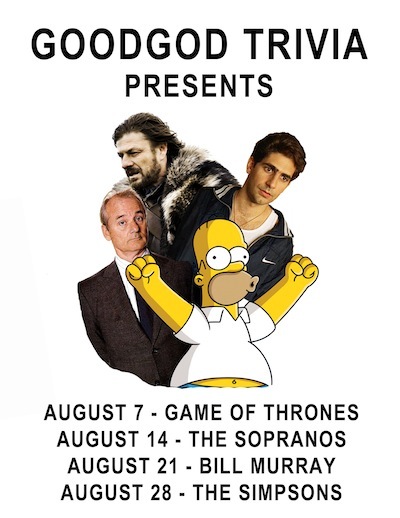 Come one, come all, as we reveal our August offerings for Goodgod Trivia! Wednesday 7th – Game of Thrones with Nick Coyle BOOKED OUT! Limited space available for each night. Booking is essential via The Dip: do@thedip.com.au.